The Harrison Township Shred Event held last week was a major success. 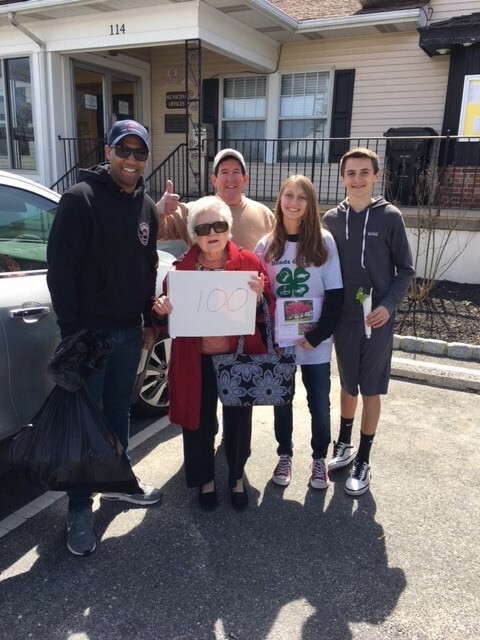 Sponsored by the Township, the Environmental Commission and the Green Team volunteered time to help direct participants and even handed out free seedlings in honor of Earth Day. 2017: 28 people, 2,817 lbs of paper. 2018: 164 people, 9,500 lbs of paper. “We started about 15 minutes early because cars kept lining up,” said Lawrence Moore, the vice chair of the Green Team. Ecstatic at the turnout, Moore said he is positive the event is on the way to becoming a Harrison Township tradition. “I have no doubt,” he said. Moore said residents did a deep clean of their home paperwork as he recalls seeing documents stamped with the year 1981 and even a bank statement reading Commerce Bank; Commerce was rebranded as TD Bank back in 2008. Many people simply tear up old, paper bank statements and dispose of the scraps. However, Moore points out that it is important to shred and recycle because if part of a statement is readable, it may contain important personal information still. A group of green-minded people, the commission and Green Team were happy to show residents the importance of recycling paper.